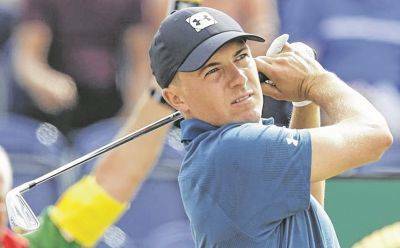 Jordan Spieth watches his tee shot on the third hole during Saturday’s third round of the British Open in Carnoustie, Scotland. 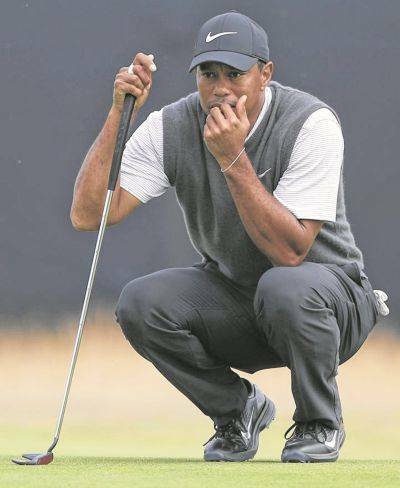 Tiger Woods lines up a putt on the 13th green during Saturday’s third round of the British Open in Carnoustie, Scotland. On a day of calm conditions, low scores and endless cheers, the biggest buzz Saturday was anticipating what the final round might bring.